Oxford, Maine - Glen Luce of Turner had the Super Late Model field covered Saturday night, winning the 50-lap main event topping the Budweiser Championship Series racing card at Oxford Plains Speedway. 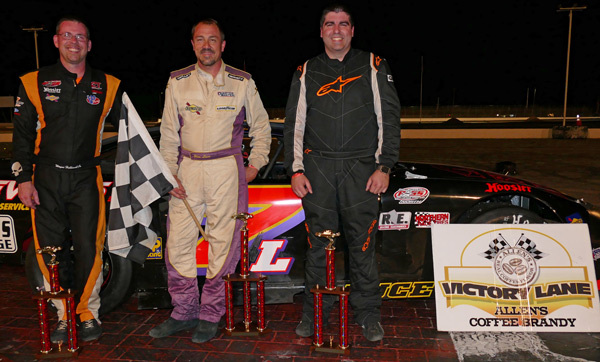 After going from last to first in his 12-lap heat race, Luce, the 2015 Oxford 250 champion, dominated the main event; turning back challenges from 2016 Oxford 250 champion Wayne Helliwell, Jr. of Dover, New Hampshire and current OPS Super Late Model championship points leader Alan Tardiff of Lyman. Tardiff, who started 15th, ended up in second position, with Helliwell third across the finish line. Scott Robbins of Dixfield raced among the leaders throughout the distance and finished fourth. The previous week's winner, TJ Brackett of Buckfield, rounded out the top five. Luce, Tardiff and Tracy Gordon of Strong won 12-lap Super Late Model heat races. Billy Childs, Jr. of Leeds padded his lead in the championship standings for the Allen's Coffee Flavored Brandy Street Stock division, winning another 30-lap race in impressive fashion. Childs took the lead away from Lisbon's Richard 'Flash' Spaulding, who finished up in second position after leading the first 21 laps. Matt Dufault of Turner claimed the third-place Street Stock trophy. Tyler King of Livermore Falls and Bridgton's Bryce Mains rounded out the top five. 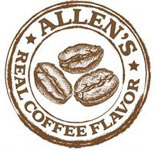 Spaulding won the heat race for the Allen's Coffe Flavored Brandy class. Cam Childs of Leeds started up front and led all of the way in a 20-lap main event for the entry-level, four-cylinder Bandits division. Childs was chased most of the distance by Adam Sanborn of West Paris, who earned yet another runner-up trophy. Reigning champion Jamie Heath of Waterford was the third-place finisher after a post-race inspection cost two competitors a top-five finish. Bandits division Championship points leader Charlie 'Chachi' Hall and Auburn's Brandon Varney rounded out the top five. Heath and Varney won heat races. Erik Hodgkins of Minot won his second Figure 8 race of the season, prevailing in a wild, 15-lap race. OPS Figure 8 legend David Smith of South Paris claimed a second-place finish in his newly-built ride. Lisbon's Robert Morey was third under the checkered flag, followed by Oxford's Kyle Glover and Kyle Kilgore of South Paris. Andy Hill of Waterford, Vermont nailed down his first win in his first start with the touring North East Classic Lites racecars. Hill inherited the lead on the 12th lap when Robbie Bryant of Weymouth, Massachusetts was spun out of the race lead. Duane Skofield of Plaistow, New Hampshire earned runner-up honors, with Justin Harris of Lee, New Hampshire crossing the finish line in third position. 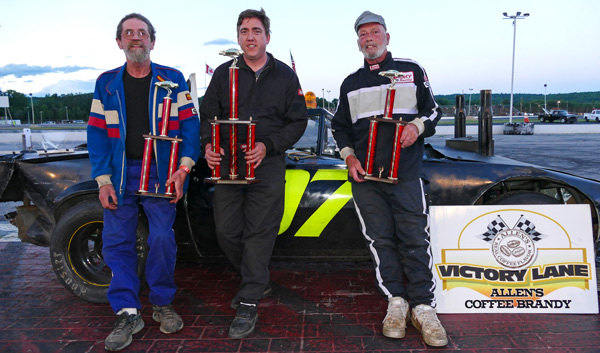 New Hampshire drivers Eric Skofield of Plainstow and Chris Sullivan of Barrington rounded out the top five. The Budweiser Championship Series continues Saturday, July 1 at 7:00 p.m., with a Holiday Fireworks Show joining the weekly Budweiser Championship Series classes, with the Super Late Models scheduled for an extra-distance 75-lap main event. Oxford Plains Speedway is located at 877 Main Street, on State Route 26 in Oxford, Maine. For more information, please visit oxfordplains.com or call (207) 539-8865. Budweiser Championship Series stock car racing results from Oxford Plains Speedway; Oxford, Maine; Saturday, June 24, 2017 showing finishing position, car number, driver's name, driver's hometown. Super Late Model (50 laps) 1 7 Glen Luce, Turner; 2 9 Alan Tardiff, Lyman; 3 27 Wayne Helliwell, Jr., Dover, NH; 4 72 Scott Robbins, Dixfield; 5 61 TJ Brackett, Buckfield; 6 16 Donnie Colpritt, Jr., Scarborough; 7 01 Andy Saunders, Ellsworth; 8 60 Tim Brackett, Buckfield; 9 53 Alan Wilson, Hebron; 10 46 Dennis Spencer, Jr., Oxford; 11 47 Kelly Moore, Scarborough; 12 23 Dave Farrington, Jr., Jay; 13 44 Kyle Treadwell, Buckfield; 14 9 JT Thurlow, Windham; 15 8 Jeremie Whorff, Bath; 16 41 Tracy Gordon, Strong; 17 36 Ryan Robbins, Dixfield; 18 8 Calvin Rose, Jr., Turner; 19 0 Shane Green, South Paris; 20 54 Ryan Deane, Winterport; 21 6 Travis Dunbar, Auburn. Allen's Coffee Flavored Brandy Street Stock (30 laps) 1 1 Billy Childs, Jr., Leeds; 2 36 Rick Spaulding, Lisbon; 3 61 Matt Dufault, Turner; 4 11 Tyler King, Livermore; 5 77 Bryce Mains, Bridgton; 6 58 David Whittier, West Poland; 7 4 Jordan Russell, Norway; 8 33 AndrewBreton, Greene; 9 27 Patrick Thorne, Standish; 10 96 Kurt Hewins, Leeds. Bandits (20 laps) 1 11 Cam Childs, Leeds; 2 51 Adam Sanborn, West Paris; 3 91 Jamie Heath, Waterford; 4 3 Chachi Hall, Oxford; 5 1 Brandon Varney, Auburn; 6 5 Jacob Hall, Oxford; 7 04 Tyler Jalbert, Auburn; 8 81 Chris Ouellette, Berlin, NH; 9 36 Scott Jordan, Auburn; 10 95 Eric Stoddard, South Paris; 11 68 Eric Parlin, Mechanic Falls; 12 39 Randy Henderson, Buckfield; 13 24 Travis Verrill, South Paris; 14 55 Dean Jordan, Jay; 15 18 Brian Hiscock, Turner; 16 44 Jeff Libby, Auburn; 17 49 Jacob Dobson, Hartford; 18 21 Richard Kimball, Mechanic Falls; 19 56 Addie McDaniel, Bridgton; 20 71 Chris Foster, Lisbon; 21 33 Matt Hiscock, Turner; 22 54 Chad Wills, Oxford; 23 21 Marcus Palmer, Norway, DQ 76 Shawn Hood, Berlin, NH; DQ 8 Josh Knoll, Mechanic Falls. 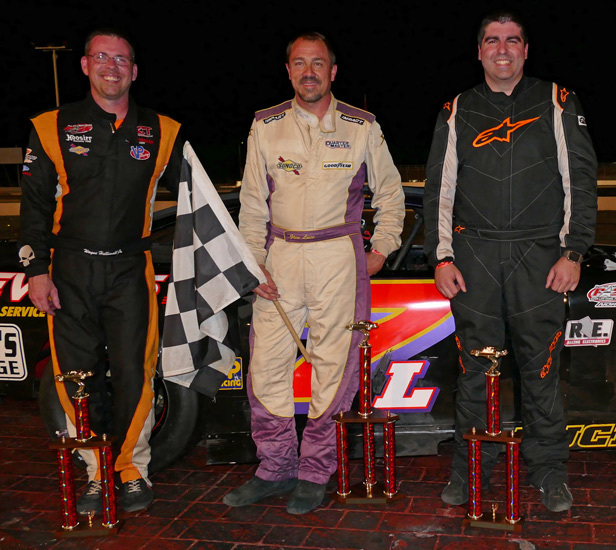 Figure 8 (15 laps) 1 97 Erik Hodgkins, Minot; 2 54 David Smith, South Paris; 3 40 Robert Morey, Lisbon; 4 07 Kyle Glover, Oxford; 5 4 Kyle Kilgore, South Paris; 6 2 Dale Lawrence, Lisbon; 7 113 Tommy Tomkins, Carthage; 8 41 Greg Durgin, South Paris. North East Classic Lites (20 laps, top five of twenty starters) 1 8 Andy Hill, Waterford, VT; 2 30 Duane Skofield, Plaistow, NH; 3 29 Justin Harris, Lee, NH; 4 18 Eric Skofield, Plaistow, NH; 5 25 Chris Sullivan, Barrington, NH.